Microsoft has ended support for Windows XP as of April 8, 2014. This means that end users will receive no further updates, fixes or patches for the Windows XP product line. It also represents a problem to software application developers such as Tracker Software Products. This is because the Microsoft development tools required to compile our applications to operate in Windows may be altered or removed, which may affect how our products function in Windows XP. Unfortunately, this process is beyond our control. However, we appreciate that there is still a significant Windows XP user-base worldwide, and we will continue to do our best to support Windows XP in our products. Please note that this will become increasingly challenging as Microsoft continues to change the manner in which Windows functions, and also how applications compile via the MS Visual Studio 2013/14 toolkits to run on the Windows operating system. 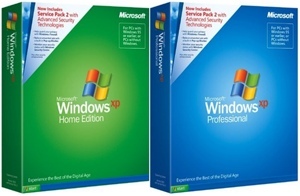 Therefore the onus is on users to ensure that they have installed the latest Microsoft Windows XP service packs. This will ensure the best performance of our products on Windows XP systems. Eventually it will become necessary for users to migrate to later versions of the Windows operating system in order to ensure access to the latest releases of our products. Please rest assured that we are working to extend the life of Windows XP installations for as long as possible in the meantime.